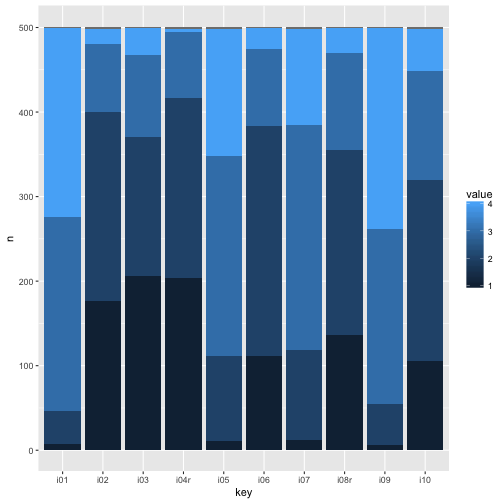 Recently, ggplot2 2.2.0 was released. 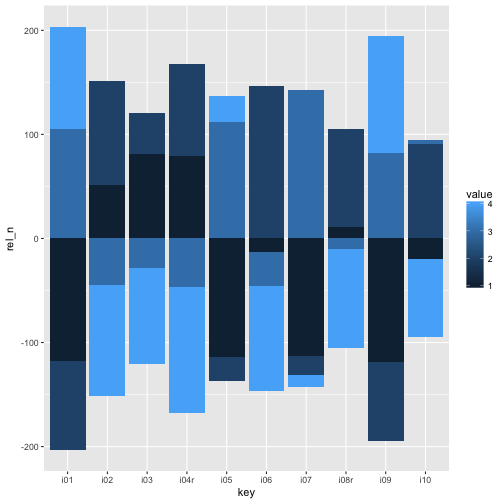 Among other news, stacking bar plot was improved. Here is a short demonstration. DOI for this piece of data is 10.17605/OSF.IO/4KGZH. The data consists of results of a survey on extraversion and associated behavior. Say, we would like to visualize the responsed to the extraversion items (there are 10 of them). So, let’s see. First, compute summary of the responses. Ok, so now let’s plot. 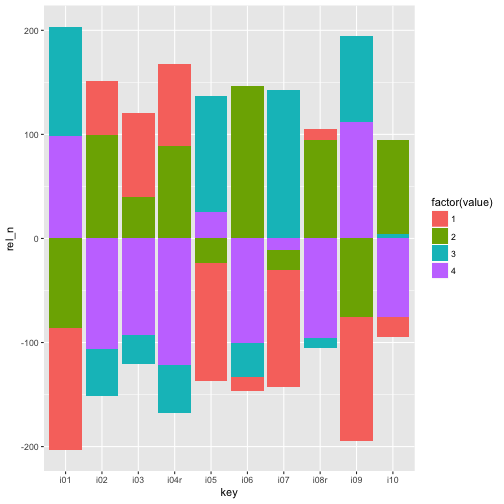 Note that geom_col is short-hand vor geom_bar(stat = "identity"). Of interest, “negative” stacking is now possible. Hm, at it comes to the color, we need to change to discrete colors. It appears that the color scheme is not able (out of the box) to adapt to this “negative stacking”.